Are you a frustrated foodie who's ready to get back to interesting menus, but with kids in tow? Or are you looking for some new eateries this summer to try with visiting friends? These seven buzzed-about new spots are grown-up- and kid-friendly, from farm-fresh ice cream to a barbecue truck and juicy burger spot everyone should try. Add another feather to Ethan Stowell's chef hat. 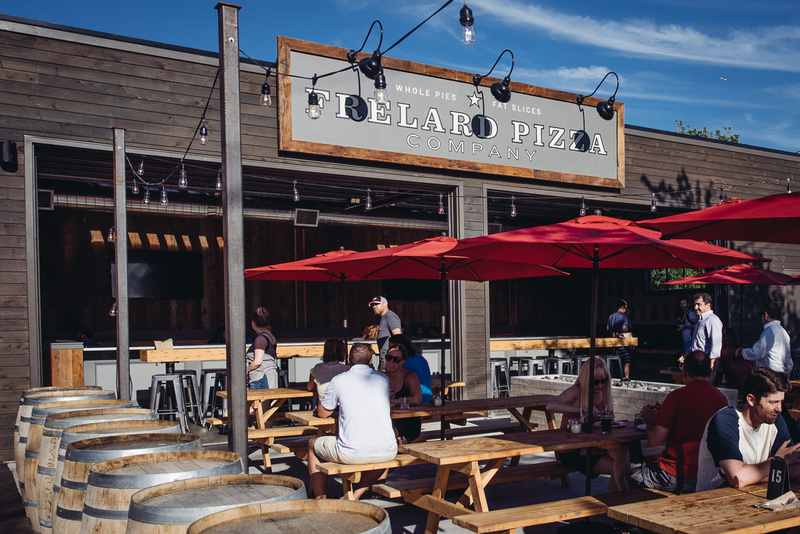 The Seattle restaurateur, who owns the Ballard Pizza Company, recently opened Frēlard Pizza Company in that nebulous space between Ballard and Fremont, next to Tray Kitchen. (The area also is now home to Bourbon & Bones and Pomerol, making it perhaps the next culinary it spot.) 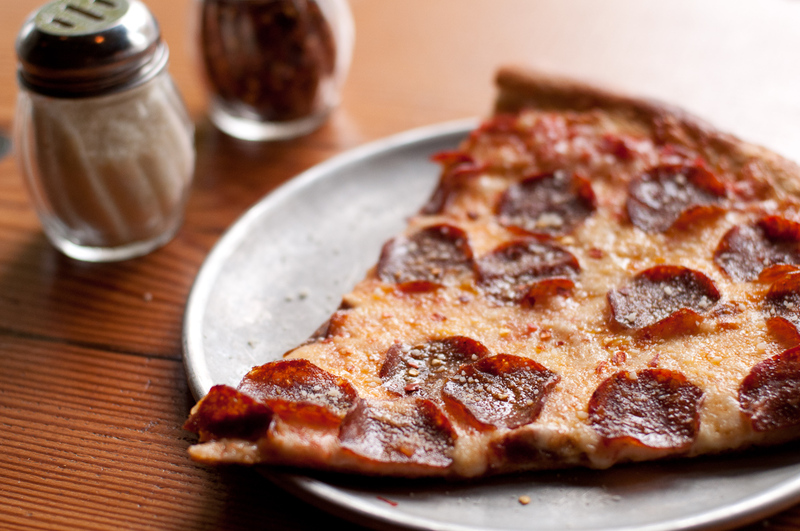 The pizza is New York style; you can order both whole pies and slices; options include “The Whole Hog,” with sausage, pepperoni, salami and prosciutto and a “Carbonara” pizza, with egg, garlic confit, pancetta and parmigiano reggiano. There's also a wide selection of salads. Rumor has it that wait times are long, so bear that in mind when visiting with kiddos. Try off hours. Find it: 410 Leary Way N.W., Seattle. 206-946-9966. Note that Frēlard is open dinner hours, 4-11 p.m.
You'll find Vashon Island cheesemonger Kurt Timmermister's farmstead cheeses on many a top Seattle restaurant's menu. Now, anyone can buy his cheeses and a new line of artisan ice cream at Kurt Farm Shop, his retail shop in the new, much-anticipated Chophouse Row mixed-use restaurant space in Capitol Hill (by the folks behind Melrose Market), which has been opening in stages since May. Timmermeister's ice cream is special for a couple reasons: it's made from his own base, and the milk is sourced straight from his own cows. Flavors range from the exotic to the simple: Rose geranium, quince, tomato jam, as well as strawberry and mint. 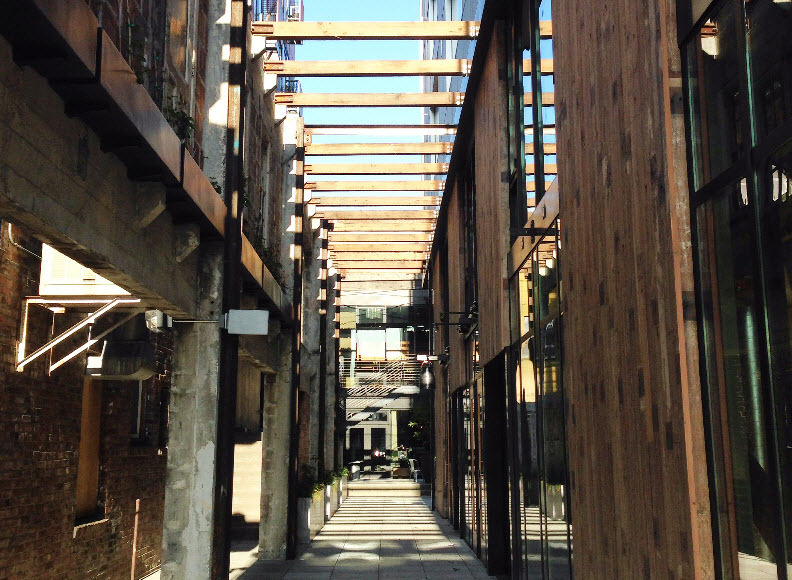 While you're walking through the beautifully designed pedestrian passageway of Chophouse Row, considering trying more offerings. The development includes a juice bar from Ericka Burke of Volunteer Park Cafe, a sweet shop (Amandine) from the former owners of Le Gourmand, and Bar Ferdinand II from Matt Dillon, among others. Happy-kid Tip: One scoop at Kurt Farm Shop comprises two flavors, and both adults and kids can order a kid-size scoop. Head back to the open-air patio at Chophouse to enjoy your scoops afterwards, or wander to Cal Anderson park for play time (note: it can be a bit sketchy at night). Find it: 1424 11th Ave., Seattle. Look for the Chophouse Row sign on 11th Ave. and walk down the alley. You'll find Timmermeister's tiny shop on the right — look for the poster-size photos of his cows. After perfecting her gnocchi at many a pop-up, Lisa Nakamura funded her dream spot on Capitol Hill, the Gnocchi Bar, in large part from an Indiegogo campaign. The gnocchi comes in three different incarnations in the sparse space: traditional potato, as well as polenta and bread. But it's the sauces that really stand out, many of them complete with a protein, such as braised chicken with capers and asparagus in a butter cider sauce. Vegetarians can indulge in gnocchi made with mushroom cauliflower and roasted portobello. For $2 you can go wild with premium add-ons such as bacon and white truffle oil. Besides gnocchi, you'll find soups and salads. Happy-kid tip: During "Ciao Time" (Monday–Friday, 4–6 p.m.) get a free small gelato when you order a gnocchi entree. Consider taking your gnocchi to go and eating it, picnic style, at Volunteer Park. Heading to the Seattle Center on a Thursday or Friday and need to pick up lunch? 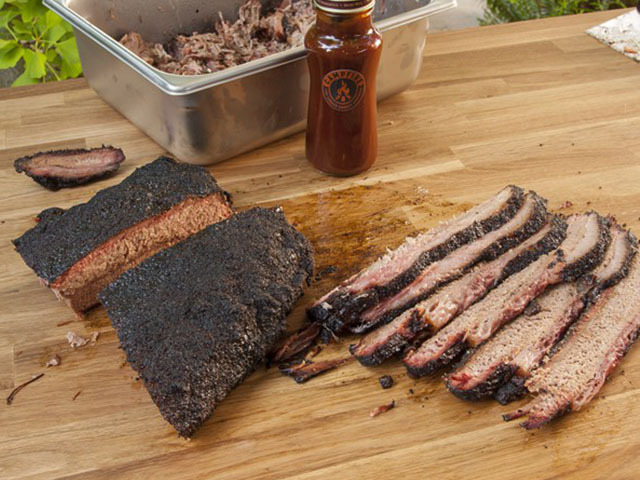 Campfire BBQ, a new Texas barcecue truck, parks outside Downtown Spirits (at Seventh Ave. and Denny) on those days from 11 a.m. until they sell out — typically, within a few hours. Kids will love the log-cabin-themed truck and kids and adults alike will drool at the incredibly moist brisket and ribs slathered in a sweet sauce. More exotic offerings include BBQ salmon and elk. Sides like German potato salad and corn bread are on point, too. Happy-kid tip: PIck up lunch then head to the wild new Artists at Play playground at the Seattle Center, as well as the International fountain. Matt Bumpas is a star pastry chef who recently left his job at the Capitol Hill restaurant Poppy to pursue his passion for handmade, small-batch ice cream and candies. SweetBumpas is his mobile ice-cream business that sells by cart at local markets. Bumpas' whimsical flavors include the likes of chocolate malt, cinnamon caramel, "chill apricot" (apricot chamomile), "monkey nut" (banana and toasted coconut) and C.B.C.C. (cinnamon basil corn cookie). And, yes, the ice cream is fabulous: A simple scoop of fresh mint tastes like it came straight from the mint plant (which it basically did!). 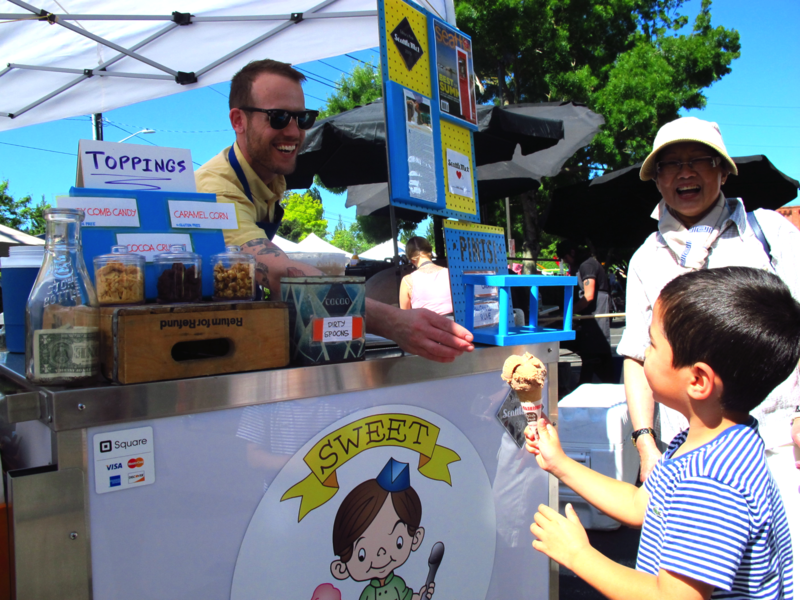 Happy-kid tip: The new Saturday Terry Ave. market in South Lake Union, where the SweetBumpas cart sells on alternate Saturdays, is especially kid-friendly; you're just a short walk from the Cascade Playground and P-Patch, or Lake Union Park. Find it: Find the SweetBumpas cart every other Saturday at Terry Ave. Market (225 Terry Ave. N.); the alternating Saturday he's at the Des Moines market, where you can also find him every Wednesday. He's also at every Fremont Sunday market (3401 Evanston Ave. N.) on Sundays. According to a recent piece by Nerd Wallet, Seattle now has 50 breweries! 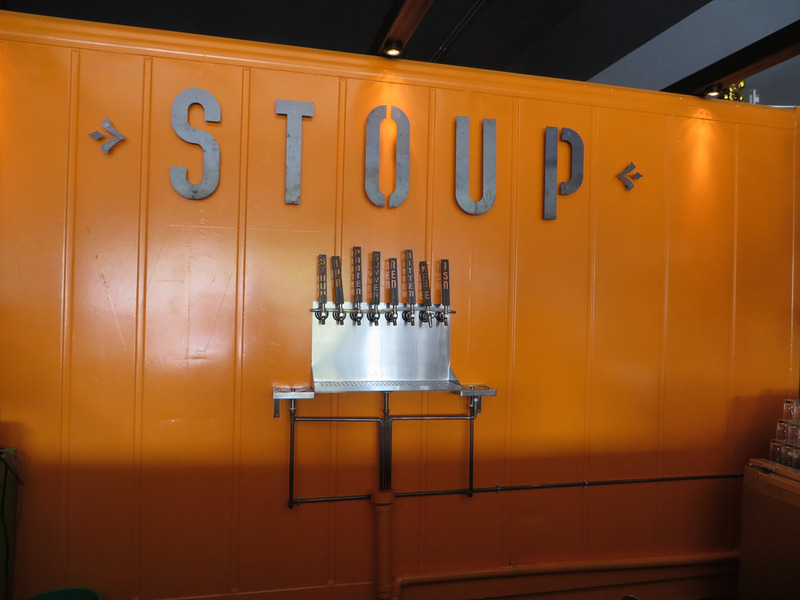 A large chunk of them reside in Ballard, including Stoup, which isn't exactly new — it opened in 2013. While Stoup offers many IPAs (but of course), it also boasts interesting brews such as saisons and porters. Snacks are available in the tap room, and they even allow you to bring your own grub. Happy-kid tip: A rotating cast of food trucks park in front of the brewery nearly every day; usually from 5-8 p.m. on weekdays and noon to 6 p.m. on weekends. The beer garden also has chalkboards for drawing. Want to try the juiciest new burger in town? 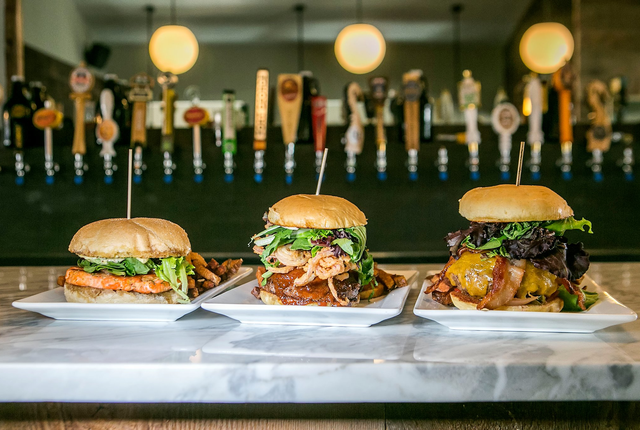 Head to Local Burger in downtown Bellevue for burgers made with locally sourced, sustainable ingredients. Try a banh bi burger (lemongrass-marinated beef patty, pickled daikon carrot slaw, cilantro, hoisin aioli ) or the pork verde (50/50 patty, smoked-pork shoulder, salsa verde, Tillamook pepper jack cheese, tomato, spicy aioli, shaved iceberg). You'll also find chicken, salmon and lentil burgers and a classic that you can add to if you'd like (simple cheese or bacon or decadent foie gras or pork belly). Besides burgers, menu stars include salads and interesting starters like pulled-pork poutine and bacon deviled eggs, as well as several craft cocktails and beers. Happy-kid tip: Don't miss the PB&J bon bons with a shooter of milk. Local Burger is also a mere French fry's throw from Downtown Park, where kids will love to run or bike the circular path, climb on the play area or look at the water.